This summer I had an amazing experience as a Research Assistant at the Canadian International Resources and Development Institute (CIRDI) in downtown Vancouver. Coming from a very resource-rich country, Tanzania, I appreciated the opportunity to work on mining projects in developing countries such as Indonesia, Ghana and Ethiopia to learn more about how different policies on resource governance can benefit a country or contribute to it having a “resource curse”. Working at CIRDI was perfect for me since I gained hands-on experience to complement classroom theories. My studies in the Master of Public Policy and Global Affairs program at the University of British Columbia mainly focus on the Resources, Energy and Sustainability stream. Working on projects that deal with the formalization and regulation of artisanal and small-scale mining (ASM) as well as large-scale mining operations was an opportune experience. At CIRDI I worked on developing a document on ASM leading practices that includes ASM models from different jurisdictions such as the Yukon in Canada and Chile’s ENAMI (national mining company) model. The intent is to provide guidance to other developing countries that are planning to regulate their ASM sector. I also contributed to the research and development of the database/resource centre of documents on mining governance, which will be another useful reference tool for countries planning to formalize and regulate their ASM sector. The experience allowed me to develop my research, corporate report-writing and structured decision-making skills. Most importantly, I was able to increase my knowledge on different strategies and policies for natural resources governance in developing countries. 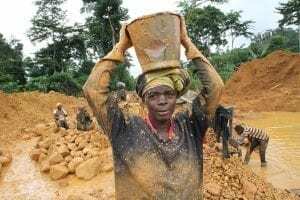 I was impressed to learn that approximately 150 million people across 80 countries in the global south depend on artisanal and small-scale mining while 70-80% of small-scale miners are informal and this contributes to socio-economic, health and environmental impacts in the communities. Moreover, very few African schools for mining engineers incorporate ASM in their curricula. Most of them traditionally focus on large-scale mining and this is an interesting policy issue. My experience at CIRDI has been truly eye-opening about the role of ASM in communities, women’s great but unrecognized role in ASM, the informal transactions in the ASM supply chain, and the great contribution that the sector can make in a country if well regulated. This is an issue that I plan to explore further during my studies as well as in policy roles when I return to Tanzania. 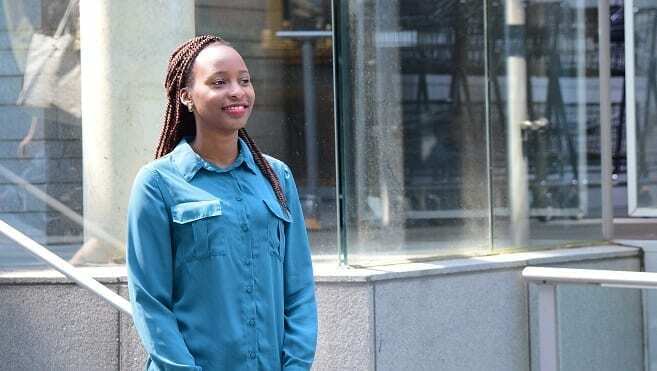 Catherine Tarimo is an African Leaders of Tomorrow (ALT) scholar from Tanzania pursuing a Master of Public Policy and Global Affairs degree at the University of British Columbia. The views expressed in this post are those of the author.